Workshops will be held on the following dates. Each one will be different and complete. You are welcome to come to one, some or all of them. 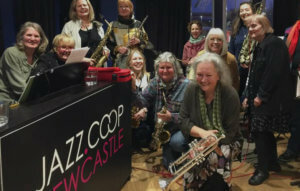 The standard fee is £25 per workshop, and there is a discounted rate of £22.50 for Jazz.Coop members. The 2-hour vocal workshops on 19 May and 30 June cost £16.50 each, or £15 each for Jazz.Coop members.